Want to know how? Watch the videos. Then get to a lane and practice from sun up until sundown. Sleep, eat, bowl baby! Below are a series of step by step learn to bowl videos for first time bowlers and intermediate videos for league bowlers looking to improve their game. Beginner bowlers often times find themselves so excited to get on the approach and throw a ball at the pins that they overlook the importance of finding the right ball for them. When learning to bowl, it’s important to know the obstacles you’ll face. Our coaches will walk you through what it takes to stay safe as you pick up this new sport. Basic Bowling Techniques with Randy Pedersen...(Part 1) In this episode, Randy gives an overview of the basic bowling technique series. Basic Bowling Techniques with Storm's Randy Pedersen (Part 2) In this episode, Randy explains the four and five step approach. Basic Bowling Techniques with Storm's Randy Pedersen. (Part 3) In this episode, Randy explains the correct set-up and how to create a pendulum arm swing. Basic Bowling Techniques with Storm's Randy Pedersen (Part 4) In this episode, Randy explains the importance of a proper release and follow- thru. Team USA head coach Rod Ross demonstrates a drill that you can do at home with a softball and pitchers net to practice your release and finish position. Learn how to increase your lower body strength, get a better finish position and improve your arm swing. No matter if you are an avid league bowler or just a casual fan that enjoys the game with friends, everyone who steps up to the lane wants the same thing – a strike. Follow these simple steps for knocking down all ten pins next time you visit the bowling center. USBC Gold Coach Richard Shockley speaks with Carolyn Dorin-Ballard and presents a good warm-up drill for all bowlers. You will be able to feel the correct motion for your release and learn to keep your elbow close to your body. With some many bowling balls to choose from, it’s nice to have some tips on how to find the right one. Team USA Head Coach Rod Ross and professional bowler Chris Barnes discuss the various options that you can choose from when purchasing your ball. USBC Gold coach Bryan O’Keefe and USBC Hall of Famer Carolyn Dorin-Ballard discuss the difference between strong and weak bowling balls and the common misconception of what it means for a ball to be considered strong. Bryan O’Keefe discusses ball fit with professional bowler Mike Fagan. With ball fit, if there is too much pressure on the fingers or joints, it is a sign that an adjustment needs to be made. 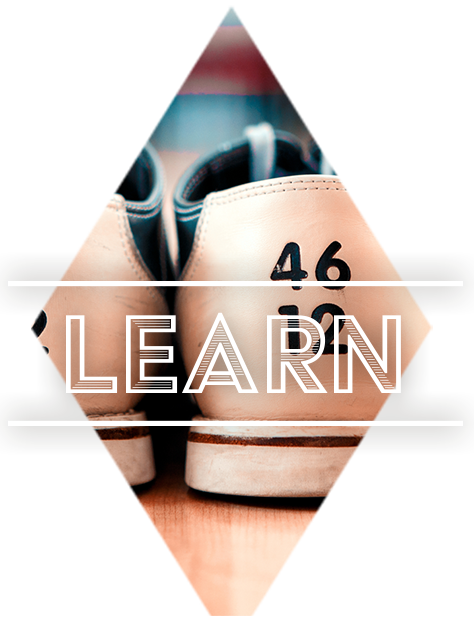 Understanding You as a Bowler | Bowling Ball P.A.P. As a coach, understanding a player’s P.A.P. helps them to understand what type of player they are dealing with, which in turn allows them to offer more individualized coaching instruction.